How to Call Portugal from the U.S.
Making an international call is simple. 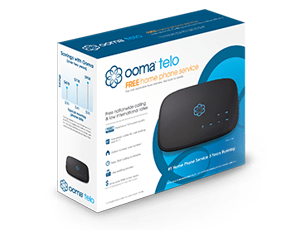 To call Portugal, you can use either your Ooma Telo-connected home phone or the Ooma Mobile app. Dial 011 to exit the U.S. telephone system. Now, dial Portugal’s country code, which is 351. Next, dial the phone number, which is 9 digits. For Portugal, there’s a few important considerations to keep in mind. A phone number will always begin with either a 2- or 3-digit area/city code, which varies by region. You won’t have to make any adjustments to this number in order for the phone call to go through. Portugal doesn’t have a specific national dialing format (think the “1” we dial sometimes here in the U.S. to place long distance calls), but do make sure any phone number you’re given is 9 digits long. With Ooma’s Basic Service or Premier Service, calls to all landlines in Portugal are billed at a rate of $0.032 per minute, or $0.32 for a 10-minute phone call, and $0.365 per minute for mobile numbers. Basic Service is prepaid, so charges are deducted from your prepaid balance, while with Premier Service the per-minute charges are added to your bill in addition to the $9.99 monthly fee. Ooma is also significantly cheaper than its competitors. Calls to Portugal with Verizon can cost as much as $1.99 per minute, more than five times that of Ooma’s low rates. That’s a significant difference, and it can add up very quickly. Ooma-to-Ooma calls are 100% free regardless of the amount of time you talk, so if your contact in Portugal is also an Ooma customer, you can talk as long as you want and it won’t cost a penny. You’ll also have calls in crystal-clear HD voice, which is much better quality than standard telephone lines can provide. Both the Ooma World Plan and Ooma World Plus Plan include unlimited calling to all Portugal landline numbers. Any calls to mobile numbers in Portugal are billed at Ooma’s standard mobile rate for the country, which is $0.365 per minute. Those charges are added to your monthly bill after the billing of the monthly service charge. Learn more about Ooma’s international plans and all the countries that are included to see which plan works best for your needs.